There two small new products were launched in the 2016 Apple Special Event and they are 4-inch iPhone SE and 9.7-inch iPad Pro that are smaller than their series products. As we know, the iPad Pro can function as the personal computer and it is very like a computer when you use the detachable Smart Keyboard. And the 9.7-inch iPad Pro is much smaller than the original one so it could be more convenient for people to bring the device with them. You can see the specifications of the 9.7-inch iPad Pro below. For more information about the small iPad Pro, you can head to the web page: The introduction of a 9.7-Inch iPad Pro. Well, you may download many apps and various files on your new iPad Pro and then you will need a software to manage all the files on computer. 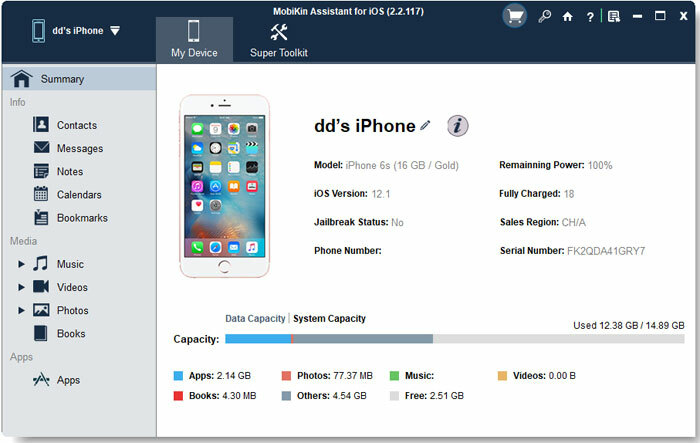 Although the iTunes may also help you back up the files, this app still has some limitations and here we will recommend you the best alternative to iTunes - MobiKin Assistant for iOS (Windows/Mac), which can make the transferring process just a piece of cake. Here we will show you the main features of the software and you can also follow the detailed steps to perform the transfer easily and quickly. The software can be compatible with various types iOS devices like iPhone, iPad and iPod touch. Besides, the software can support various generations of Apple operating system. The software can detect your device automatically and scan all the files in it. 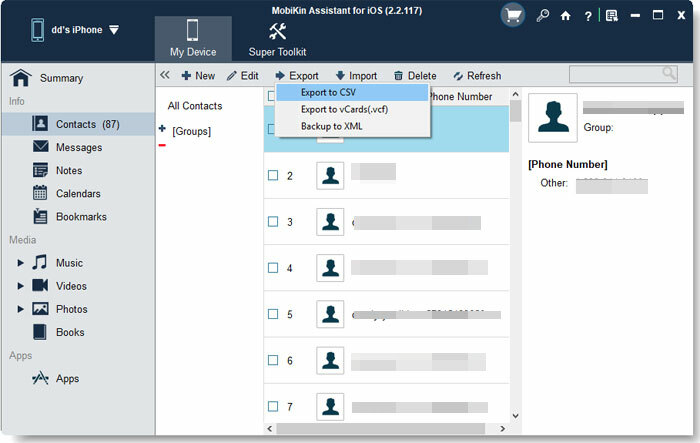 Then the files like contacts, SMS messages, books, videos, music, notes, safari bookmarks, voice memo, podcast and so on will be displayed on the interface as different categories. You are able to manage the files as you like then. Want to experience the functions of the software on computer by yourself? Just download it by clicking the icons below. Then just click on a option on the left panel and then you will preview the detailed items on the right panel. Then mark the wanted files on the right panel and just hit the Export button on the top panel. The operation of the software is simple and you can try the free trial version.